Usain Bolt won, but did Puma miss the big moment? 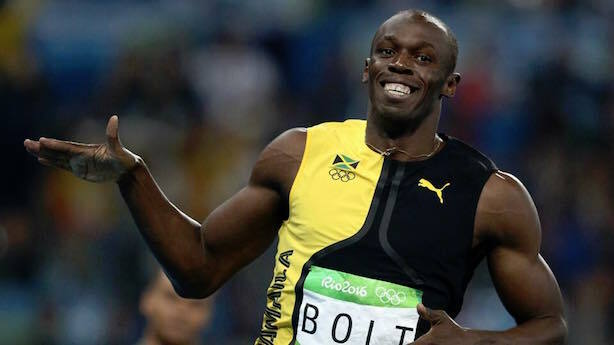 Usain Bolt cruised to victory in the men's 100 meter for the third straight Olympics. (Image via Bolt's Facebook page). From Rio: Usain Bolt cemented his status as the fastest man on Earth, winning the 100 meter dash for the third straight Olympic Games on Sunday night. ESPN’s Darren Rovell said Puma is too slow to market the Jamaican sprinter. Simone Biles won another gold medal for the vault. Last week, Belize’s tourism board made the most of her winning the all-around women’s gymnastics gold. Andy Murray corrected a BBC reporter who forgot about Venus and Serena Williams. Puma always seems to be a step behind the marketing game. Top item on their website isn't anything Bolt, it's Rihanna's fur flip flops. Mixed messages from IOC about Lochte robbery. Ryan Lochte and three teammates were held up by robbers posing as security personnel on Saturday night. The swimmer told NBC he was like "whatever" during the robbery. The International Olympic Committee initially denied that the incident even took place, despite Lochte’s mother confirming it in media reports. Trump camp stands by Pierson. Trump senior communications adviser Jason Miller stuck up for spokeswoman Katrina Pierson after she claimed on CNN that President Barack Obama invaded Afghanistan after taking office in 2009. (President George W. Bush ordered the invasion eight years earlier). Pierson blamed audio problems. On the campaign trail: The New York Times linked payments from a pro-Russian group in Ukraine to Trump campaign chief Paul Manafort, and former campaign manager and Manafort rival Corey Lewandowski tweeted out the report. Trump spent much of the weekend sparring with the media and ignoring Hillary Clinton. The Republican candidate is set to unveil his foreign policy plan today in Ohio; Clinton will campaign in Pennsylvania with Vice President Joe Biden. Demi Lovato apologizes for Snapchat post. The pop star said sorry for a Snapchat video in which she laughed about the Zika virus after she was called out by Twitter users for being insensitive and the #DemiLovatoIsOverParty hashtag gained steam over the weekend.